May the Christmas Spirit be with you all year long. Tonight, Pontelandolfo is hosting Concerto di Natale by the chorus from Liceo Musicale G. Guacci. When I saw the poster of young singers in their tuxedos and black dresses, I flashed back to my teaching time at Westminster Choir College and my first evening of “Lessons and Carols.” Teaching at Westminster was one of the most rewarding and special times of my life. Surrounded by music and students who were accepted because they had great musical talent, academic ability and drive, I formed relationships that mean a lot to me today. As my brain twirled, racing from those young musicians singing their hearts out during a Christmas Lessons and Carols to our life today, I realized there was a lesson that I should have learned then but really hit me now. This year, Jack and I decided to to try on a different holiday experience and spend Christmas and New Year’s Eve in Italy. The Christmas lessons began in Milano, continued in Vienna and seeing the lights in Piazza Roma were reinforced in Pontelandolfo. Thanks to Stefania, Nina, Kristie and Silvia, Non importa dove vai, importa chi incontri, became so evident to me. It is not important where you go but who you meet along the way. Strangers become reflections of who we are and where we are going. That first night, tired and hungry we walked a scant few blocks from our favorite B&B – Il Girasole – to Tony’s, a jam packed local eatery. We were given a deuce next to a woman eating alone. When I say next to, I mean our elbows touched. What could I do but say, buona sera. Stefania, was no longer eating alone, and we had a great conversation about her early life as a dancer with the Royal Ballet in England and now in a government office here in Milano. Politics, political appointments, the problems facing Milano and the rush from hearing the sound of applause wafted from table to table. The back story that stayed with me is one we have all known – a young woman with a promising career as a dancer comes home to attend to the elders in her family. 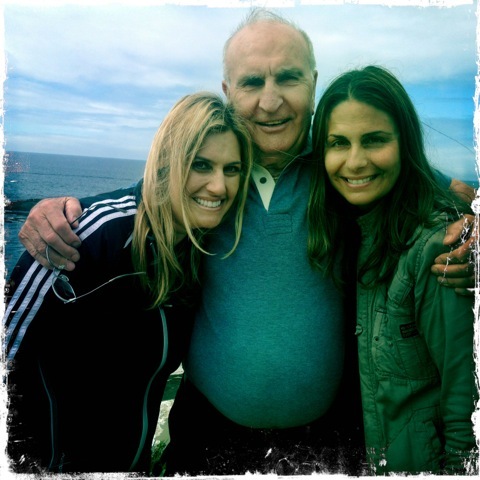 Family is so central to the soul of Italy and central to me. Eating and connecting with a local woman who was as interested in us as we were in her made the night magical. One morning, our eyes finally no longer glued shut, we wended our way to breakfast. There were only three of us in the room. What else could I do but say buon giorno? Nina replied in perfect English, Good Morning. A German international political science Ph.D who had spent a year working for a major California university, Nina provided a European view of world events and the plight of academics. Munching our corentti and sipping our cappuccini, I found interesting her perspective of the rise of fascism in the United States. What really smacked me was just how spot on the old men in Pontelandolfo’s bars where when they warned us that candidate Trump would lead the USA in a goose step toward a fascist regime. Too bad they didn’t get a chance to manipulate FaceBook! When Nina explained the hiring process in German and other European universities, I responded on how I had been F*&!ed by an institute of higher learning. We were sisters under the adjunct banner. While we did not agree on all global issues, we had a robust discussion that helped me understand even more clearly european perspectives. If you never leave your hometown you miss the opportunity. I’ve been graced with impeccable timing. Silvia had just gotten back to the hotel from a master class with a famous Milanese pastry maker and was laden with samples of the delights she created. While munching away, we listened to Silvia talk about the Roma Academia Italiana. She is studying for a professional diploma as a chef. More importantly, we listened to Silvia’s dreams of having a pastry shop that features both sweet and apertivo style treats. Silvia’s enthusiasm for baking and her love of local, natural ingredients gave me an “Ah Ha” moment. Maybe the universe sent her to add a Roman dimension to Cooking in the Kitchens of Pontelandolfo? (Check out our groovy new web-site.) Perhaps the adventuresome foodies that come to cook in Pontelandolfo homes could do a pastry add on in Rieti! Jack and I headed off to Vienna – I really wanted to hear the music and see the Christmas bling. We did do that but coming full circle – we ate dinner in a crowded local restaurant and were fortunate to be squished next to a couple from North Carolina. Kristie, a realtor, and her husband were great dinner companions. We talked about politics, living abroad, places one should visit, lack of travel leading to limited vision, life in a red state when you have blue politics, the state of the nation and the world. None of us wanted to relinquish our tables to waiting diners. We enjoyed the company and the conversation. When we finally, got home to Pontelandolfo and became immersed in conversations in the bars, library, restaurant, I knew the the journey we’ve taken to become part of a different community has been a blessed one. These encounters may not seem like much. However, hearing, listening, responding and understanding the places that people come from and the journeys they have taken enhances our journey. As our pal Nicola from Il Girasole Hotel said, Non è importante la destinazione ma il viaggio. The destination is not important – it is the journey. Buon Natale, Merry Christmas, Happy Holidays, Happy New Year. May 2018 bring you joy, laughter, health and incredible journeys. Folk Festival to Stream Live! Ri Ualanegli knows how to produce a Folk Dance Festival! If you can’t get to Pontelandolfo – and I encourage you to get here – you can see the festival streamed live on Pontelandolfonews.com and on FaceBook Ri Ualanegli Pontelandolfo. Save those links! Save the dates – July 31, August 1 & 2. At the end of the blog there is a complete schedule of events – don’t forget the time difference if you want to catch the live stream. The commercial will wet your appetite for folk dance and if that doesn’t work, read on about the two other Italian companies that will be in the festival – Urbanitas and La Pacchianella. Based in the town of Apiro, Urbanitas, formed in 1933, shares the rural traditions and culture of the 19th-century Marches. This was a period of abject poverty. There were rare occasions for festivals. Because they were rare, the festivals were incredibly unique and intense. The peasants of the Marches, accompanied by sprightly music enjoyed themselves dancing that bordered on the phrenetic. The company was included in the filming of Dino Risi’s Straziami ma di Baci Saziami, starring Nino Manfredi. They have also been seen on both regional and national television. Since the 1970s, Urbanitas has collaborated with the town of Apiro and produced an annual international folkloric festival, Terranostra Apiro. This folk group claims to be one of the oldest – founded in 1923 – and most famous Italian group. They come from Monte Sant’Angelo in Foggia – noted for the white line of terraced houses and in the Christian world for its ancient rocky shrine where in 490 The Archangel Michael appeared. I thought it was interesting that their costumes hint of Spain and reflect the Spanish rule of the area. Lots of color, tons of gold – bling personified – is fun to watch and adds panache to the dances. They have toured the world and made a number of films including one by Disney on folk lore. This video has them dancing in front of the Statue of Liberty and the Eiffel Tower! July 6, 2017 July 6, 2017 by midgeguerrera, posted in Food - Eating In and Out! Some days – the ones when I am not pretending to work – Jack and I get in the car for rides to nowhere special. We simply drive and stare. We have visited and lived in Italy for more years than I will admit to and the views still enthrall us. Patchwork green hills frame the blue sky. My favorite nowhere special drives have the sea on one side of the road and the hills on the other. One day, we saw a sign that said Porto Vasto and thought – what the heck lets check out the port. 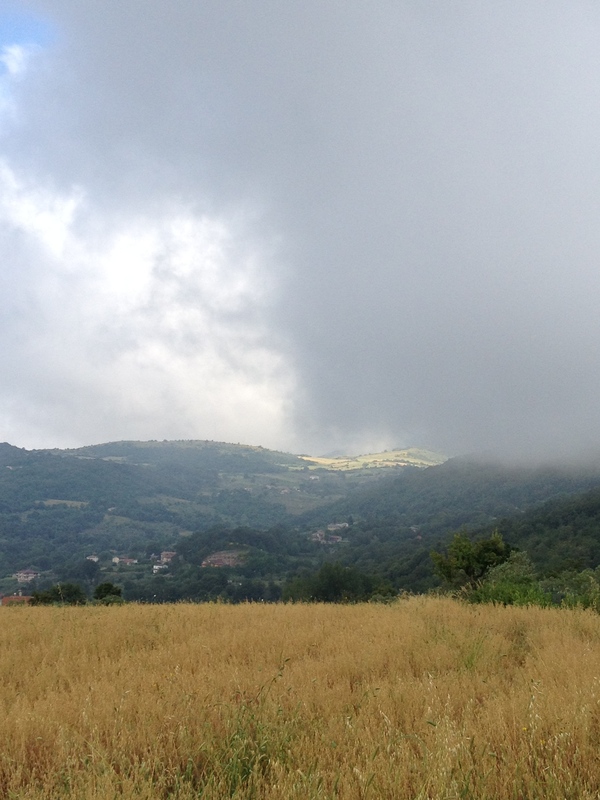 We veered off the highway and started bumping down one of Italy’s many pot hole riddled roads. I think it was the bumping that got our tummy’s gurgling for food. Stop! I screamed. What! Jack screamed. Look there is a sign for a restaurant – Il Corsaro della Baia Azzurra. Pirate by the blue bay???? Ahoy matey we found a place to eat. We made the 90 degree turn and slowly crept down the narrow lane. We approached a large white house that seemed perched on the edge of a cliff overlooking the sea. Jack and I stared at each other. There was no sign of life – and certainly no sign that said “Good Eats, Eat Here.” What the hell, we are adventurous. As I started to open the car door, Woody Allen with a Jerry Garcia haircut burst from the house, helped me open my door and hugged me like I was his long lost Auntie Midge. We were whisked into the house and a smiling gracious woman came out of the kitchen wiped her hands on a mapine and gave us hello kisses. Where are we? I thought the first time we went. Where are the cameras? Is this my closeup? Antonello and his wife Grazia are the owners, front of house, cooks and bottle washers of what has become our absolute favorite seafood restaurant. The interior is adorable. The walls were festooned with portraits of press clips of a man who kind of looked like our host. Further investigation revealed that Antonello’s dad, Claudio Crisci, was a vibrant entertainer who started the restaurant with his wife. It has always been a two person operation committed to slow fresh food. The tables faced a wall of windows with a stellar view of the sea. Rather than sit, we were taken on a short tour of the veranda that overlooks the Adriatic ocean. Talk about view! We would just come for the view but the food! The scents of the sea wafted over us and we remembered we were starving. We only chose courses from the sea and all were prepared perfectly. How can one woman alone in the kitchen turn out such great stuff? Now that we are five times a year regulars, I can tell you that it is a wee bit more than eating in Pontelandolfo but worth it. Our bill is usually around €100 but we spend hours drinking two bottles of wine, eating seafood antipasti served in multiple courses and a grilled fish entré that would feed a small family. I could show you pictures of the food and talk about each course, but you will only get jealous and race to the refrigerator to angrily discover you don’t have any miniature clams opened in white wine, or octopus sautéed with parsley and garlic in the most fragrant of local olive oils and be frustrated because you can’t find langoustine split and grilled in your grandmother’s clay baking dish. So, I won’t tell you what we had. But please watch the video! Shout out to subscriber Kathy H. who said “I feel a blog about being silenced is in your future.” Now, Kathy knows I love to chat. 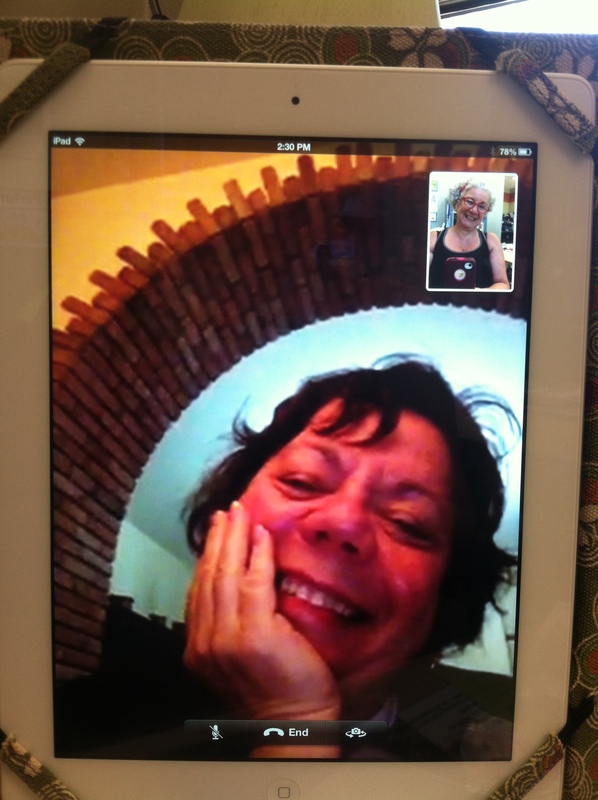 We Facetime, Viber or Magic Jack call each other a lot. What do we talk about? I haven’t a clue, but for about a week the chatting stopped. On those chatless days we were plagued with thunder, lighting, whooshing rain and turn your umbrella inside out wind. The internet went kaput. No Internet no chatting. What? No Magic Jack or Viber? Yeah, yeah I know – I could still e-mail from my smart phone but it ain’t the same as voice to voice chatting. For one whole week I couldn’t verbally reach out to family and friends in the USA. WHAT! It was a great opportunity to read books, sit in the caffè and gossip and maybe even play at writing something. It also made me realize that my blabbing about our great cheap ways to communicate with folks in other parts of the globe needed a revision. Here in the hills we have one communication tragic flaw – storms knock out the internet. Our internet is provided through an antennae on our house and a signal sent from an even bigger antennae somewhere in the hills. When the wind is whoooooooooossssshhhhhhhing the signal starts swirling and may be providing internet to Saturn. No internet means NO Magic Jack. How does one overcome this dilemma? First, make sure you have a good cellular telephone provider. We use WIND and pay ten Euro a month for 200 minutes of calls, 200 texts and UNLIMITED data. Second, make sure you have a phone that can become a wi-fi hotspot. I have an iPhone 4s that works well as a hotspot. I will caution you, there were times when the storms also limited our ability to use our cell phones but not often. To make quick calls to the USA – really quick because the more you use the unlimited data the slower it becomes – I would turn the cell phone into a hot spot and call through my iPad or Macbook Air. 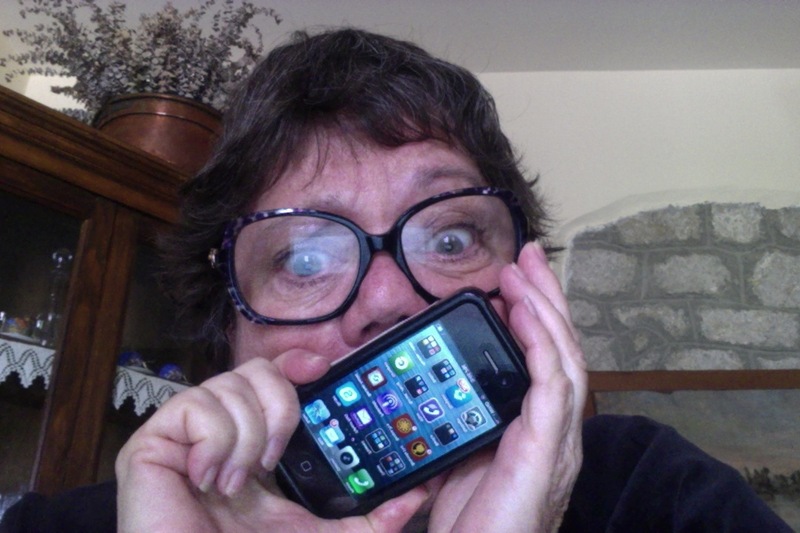 Apple doesn’t send me dime for saying what I’m about to say (though I would gladly accept the latest iPhone.) Apple products all work incredibly well together. Bottom line – I may not be able to sip Campari Soda and talk about nothing with pals in America for an hour but thanks to a good cellular provider and the hotspot on my iPhone we can still get our words out. December 15th the best Christmas present this blogger could ever want came from Kristen Ross. Kristen posted a comment asking for help finding out more about her friend Nancy’s family. I e-mailed her, then she e-mailed me and soon we were chatting on the phone like old chums. The surnames in her pal’s family can also be found in my family! Rinaldi, Fusco, Mancini – wow – my bis-nonna was Mariantonia Rinaldi who had a brother Francesco. Nancy’s grandmom, Maria Rinaldi, was the daughter of Francesco Rinaldi ! Could this Californian’s family tree intersect with mine? Those of you who grew up in or live in Pontelandolfo may know the family – if you do please leave a comment on the blog. Nancy’s dad – Domenic Mancini was born in the Minicariello section of Pontelandolfo. His dad was Antonio Mancini and mom was Maria Rinaldi. 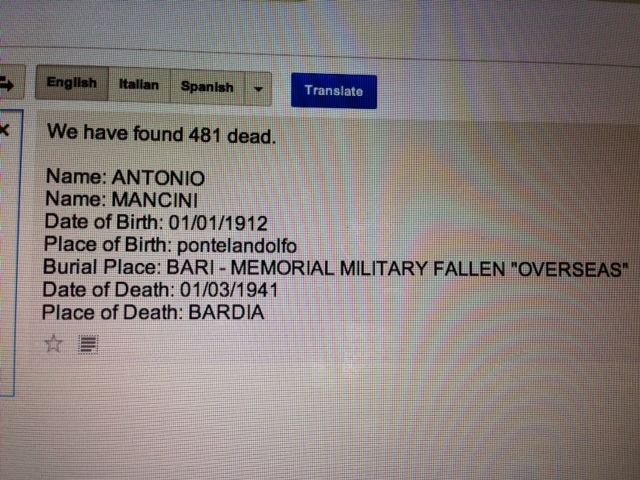 Antonio’s father is Angelo Mancini and his mother is Catterina Fusco. Maria Rindaldi’s father was Francesco Rinaldi and her mother was Antonia Rinaldi. Domenic Mancini was born on a small farm in Pontelandolfo, Italy. During World War II, nine year old Domenic was the first one in his family to discover that his father, Antonio, was killed in Bardia, East Africa. His mother’s inability to read meant that this little boy had to personally deliver the devastating news to the family. As I began to hear more about Domenic’s early childhood, I was deeply affected by the tragedy of it all…images of Domenic being held back by his Mother as the only father he knew left for lands and battles unknown, the longing of a little boy for an absentee father, and the courage he had to support his grief-stricken mother. To compound the sadness of war, he never knew where his father was buried. He was told that Antonio was buried somewhere in Africa, but no one had been able to locate any information, and Domenic (now 82) had begun to come to terms with the idea that he might never be able to pay his respects to the father he lost and have closure. After hearing him tearfully tell this story, I could not imagine what is was like to not know where his dad was after all these years. I was determined to do some research of my own. I felt the sense that nothing is impossible and nothing is ever lost, it just hasn’t been discovered. Having taken only one Italian class, after traveling to Italy several times, I used my broken Italian to make numerous phone calls, emails, and research Italian websites. Having looked at almost two thousand names, a thousand war memorial sites, and spent countless hours of translating Italian handwriting from the 1940’s I was coming up with nothing. It was like searching for a needle in a haystack, an Italian haystack for that matter. I needed un miracolo; a miracle. Every time I find myself helpless, I turn to something higher. I simply prayed for this right intention to manifest itself. For a father to be reunited with his son, even 72 years later, is still possible. Having lost my father too, I knew how much this would mean to Domenic to have some sense of unity, closure, full circle ect… I kept ricerca; searching. Before I went to sleep that miraculous night, I checked one last Italian website. I typed in the letters of his last name and there he was. Antonio Mancini had been found. I started scrolling down to make sure I was actually seeing straight. Luogo Sepoltura means Place of Burial. He was back home in Italy. From previous research that I had done, I knew the bodies of the Italian Soldiers who died overseas, were sent back to Italy in December of 1967 and placed in a beautiful memorial museum in Bari, off the coast of the Adriadic Sea. Dominick’s father has been honored there. I called Nancy, and she quickly made the phone call to Domenic! He was in total shock and was filled with so much joy. He told us that this was the best gift he’d received in his entire life. As his voice teared up on the phone, he told us he would travel back to Italy to see his father. This summer, we will be traveling with him on this beautiful journey to witness this father and son reunion. Unconditional Love is the best gift in the world. The Sacrario Militare dei Caduti d’Oltremare (Military Memorial to the Fallen Overseas) was opened on 10 December 1967 on the outskirts of Bari, on the way to Brindisi. The structure houses the remains of more than 70,000 Italians who died in foreign lands. These lands include Greece, Albania, Algeria, Morocco, Tunisia, Libya, Somalia, Ethiopia, Eritrea, Germany and the Mediterranean Sea, in the First and Second World Wars.